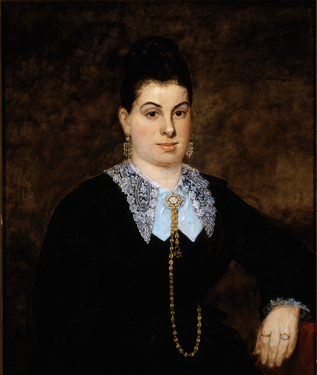 Born in St. Augustine, Florida, Rebecca Elias married German-born Morris Israel in Abbeville, South Carolina, in 1859. The couple lived at 54 Wentworth Street in Charleston. Eleven of their 13 children lived to adulthood. At the time of the earthquake of 1886, Morris, a bank director, was president of congregation Beth Elohim. Rebecca and Morris Israel's daughter Adelaide married Montague Triest on November 8, 1898. In 1903, in partnership with his brother-in-law Melvin Israel, Montague started an insurance agency, Triest and Israel, still operating in Charleston today under the name Triest and Sholk, Inc.